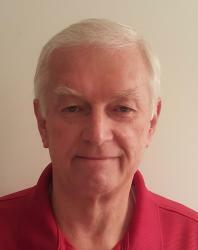 Normally the big story of a NASCAR race weekend involves the cars and drivers competing for the victory on the track. 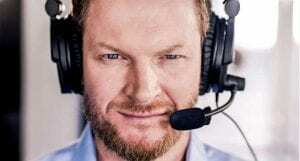 This weekend at Chicagoland the story is Dale Earnhardt Jr. makes his debut in the broadcast booth. NBC takes over for Fox in broadcasting the Monster Energy NASCAR Cup Series. Their first race the Overton’s 400 at Chicagoland Speedway. The Wood’s Brothers driver Paul Menard(21) won the pole. Team Penske’s Ryan Blaney(12) sits next to him on the all-Ford front row. Blaney took the lead on the start. Chase Elliott(9) slipped under Menard for second place. At Chicagoland, 267 laps make up the 400 miles of the race. Stage 1 and Stage 2 are 80 laps each, leaving 107 laps in the final stage. Another factor in the race today is sure to be temperatures. At the start of the race, the thermometer inside Kurt Busch’s(41) Fusion read 108 degrees Fahrenheit. By the end of Stage 1 temperatures were hovering around 160 degrees. 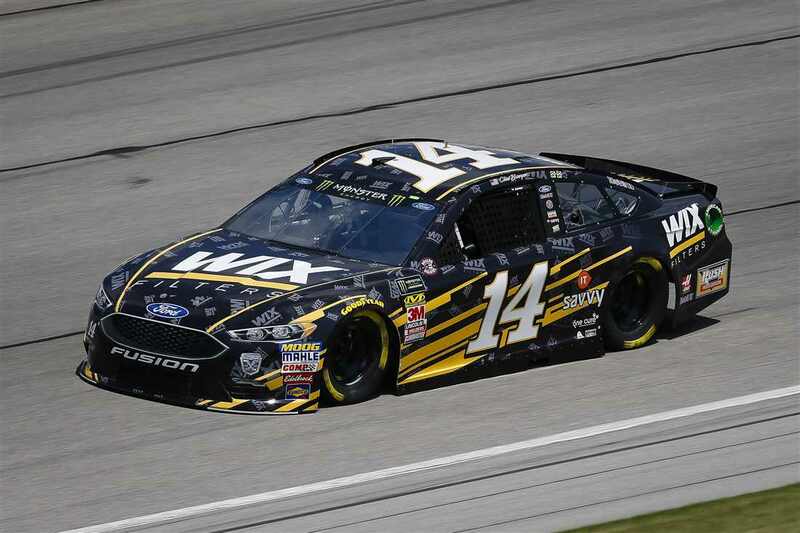 Clint Bowyer(14) was the hot shoe on the track. Using the bottom groove to drive to the front on lap 17. He led as teams began to pit for the 1st time. Green flag pit stops commenced approximately halfway through the 1st Stage. Bowyer pitted from the lead on lap 38. Unfortunately, he was flagged for leaving the pits too fast. Coming back down pit road for his drive-through speeding penalty, he was again clocked exceeding pit road’s maximum speed. The mistakes cost him 2 laps. Bowyer dropped from leading the race to 33rd position. After all the teams cycled through pit stops. Aric Almirola(10) took the lead. Kurt Busch second, Kyle Larson(42) third, Martin Truex Jr.(78) fourth, and Kevin Harvick(4) in fifth. Almirola holds on to take his first Stage win ever and continue Stewart-Haas 2018 dominance. Only 16 cars of the 39 starters remained on the lead lap at the end of Stage 1. Jimmie Johnson got the free pass during the Stage ending caution. Five more took the wave around to make it 22. Almirola exited the pits first to retain the lead, Harvick came out second. Kurt Busch in third, Keselowski fourth, Michigan’s own Erik Jones(20) in fifth. Harvick nosed in front as the field returned to the start-finish line after the restart. But, Almirola held off the charge. By lap 95 Almirola led 35 of the laps, more laps than he led the previous 5 years for Richard Petty Motorsports. 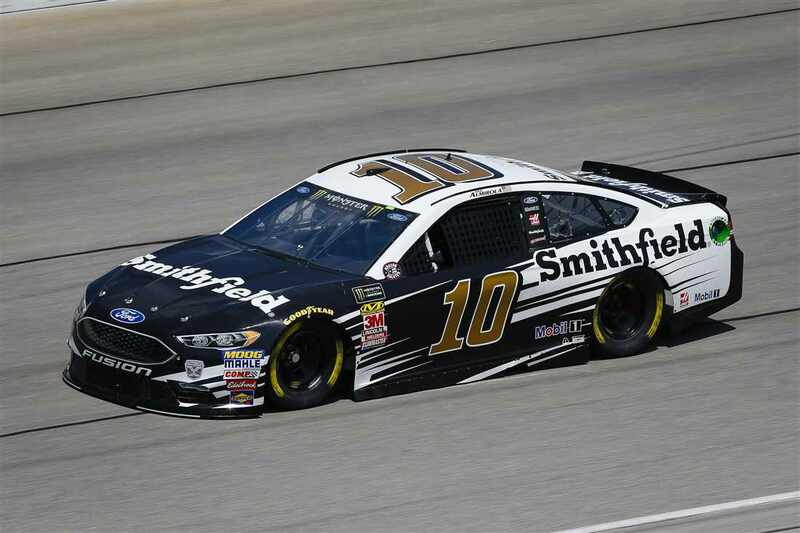 In 7 years on the Cup Circuit the former driver of the #10 car, Danica Patrick, led a total of 64 laps in her NASCAR career. Almirola led a total of 62 laps this race before pitting on Lap 123. After the leader’s all pitted Harvick held the lead. Almirola ran close behind in second. Bowyer, 2 laps down after his pit road speeding debacle, remained on the track while the leaders pitted. He gained back one lap by staying out. The yellow flag came out on lap 127 for debris on the track. Bowyer was the first car a lap down and the free pass returned him to the lead lap. Most of the leaders pitted again on the debris caution. Ryan Newman(31) stayed out. Blaney chose to take 2 instead of 4 tires and exited 1st. They sat on the front row for the restart. Followed by Almirola, Kurt Busch, and Kevin Harvick. Blaney surged to the front, Newman dropped back through the field. As positions settled out, Almirola returned to the lead. Then trouble struck. In the lead, Almirola sensed his car had a loose wheel. The fastest car all day had to pit and change 4 tires. The stop put Almirola a lap down. Fortunately, he returned to the track in the free pass position, the first car a lap down. Almirola’s teammate Kurt Busch inherited the lead when Almirola pitted. 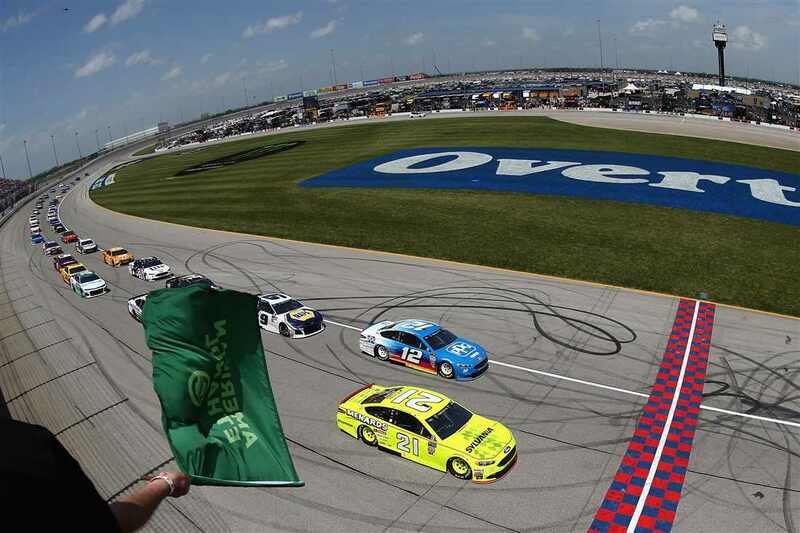 On the last lap of Stage 2, Harvick passed Busch coming to the green and white checkered flag. Busch ran his teammate all the way up to the wall. Harvick kept his foot on the accelerator and motored past just before the start-finish line. Harvick exited the pits first from the Stage 2 ending caution. Kurt Busch followed him out. Truex, Larson, and Keselowski start in 3rd to 5th. The top 5 swapped positions for several laps on the restart. Kurt Busch led, then Larson. Harvick moves back to the lead on Lap 176. Denny Hamlin(11) lost control moments later and brought out the caution again with a spin off turn 2. Most of the leaders return to the pits for fresh tires. Except for Keselowski who stays out and becomes the leader. As does Aric Almirola, back to the front after the loose wheel incident. Logano starts in 3rd. Harvick 4th sits 4th while Larson is 5th. On the restart, Logano goes 3-wide and follows Keselowski as the Team Penske drivers run 1-2. Harvick quickly tracks the pair down and takes over the lead. 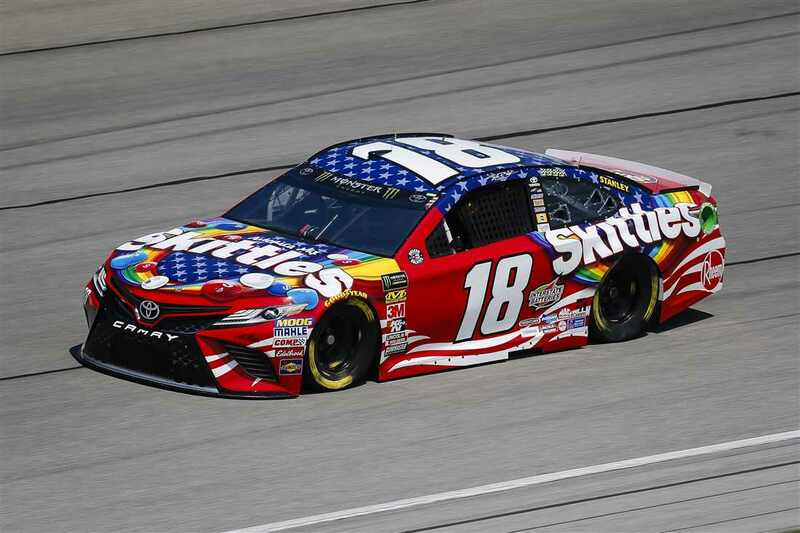 Kyle Busch(18) enters the mix with the leaders and drives into 2nd. Larson, Truex, and Logan follow as the race reaches Lap 200. Adding to the drama a line of rain is quickly approaching Chicagoland Speedway from the West. Crew Chiefs report to their drivers the rain is likely to arrive before the end of the race. Corey LaJoie(72) brings out another caution on Lap 207. His right front tire went down and he hit the wall. Kyle Busch’s pit crew performs a flawless stop and gets him out 1st. Harvick restarts beside him on the front row. Followed by Larson, Truex, and Jones. Almirola has to pit with another loose wheel on Lap 46. Likely ending his chance at the win as he again goes a lap down. Miraculously the rain seems to slow down and begin to break up. The fans are delighted as the battle for the lead between Kyle Busch and Kevin Harvick heats up. With 20 laps to go Larson passes Harvick and moves into second. He is consistently running laps faster than the leader Kyle Busch. With 10 laps to go Larson cut Busch’s lead to a half a second. Larson caught Kyle Busch as they took the white flag. In between turns 1-2 Larson gets to his bumper and gives it a tap. Larson slides in front of Busch down the backstretch. Busch returns the tap in turns 3&4, Larson could not hold on and slides to the bottom of the track. Busch takes the win. For Kyle Busch, his 5th win of the year ties him with Harvick and returns Busch to the top of the playoff standings. To his credit, Larson gave Busch the thumbs up on the cool down lap. In the post-race interview, Larson admitted getting into Busch on purpose and had no problem with the retaliation. The battle provided the most exciting finish to a Cup race since the Daytona 500. Fortunately Junior put in a solid effort with no major slip-ups. The race provided a spectacular finish that had the entire announcing booth on their feet. Up next the circuit returns to Daytona International Speedway for the Coke Zero Sugar 400 on Saturday night under the lights. 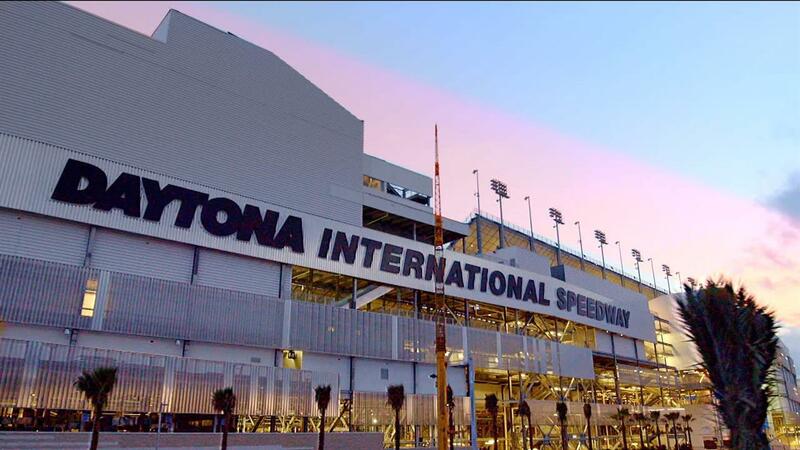 The Lasco Press will be live in Daytona to cover the weekend’s events from the World Center of Racing. Tickets are still available, come on down and join us. Follow the entire experience at thelascopress.com.